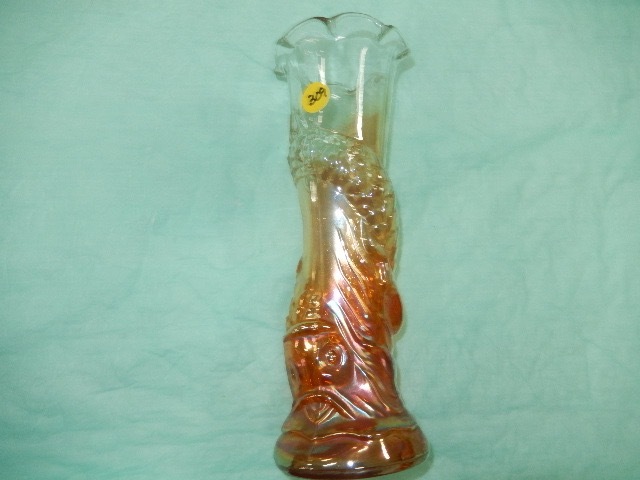 As with the Elephant and Hand vases, this one is blow molded (rather than pressed) and the glass is rather thin. 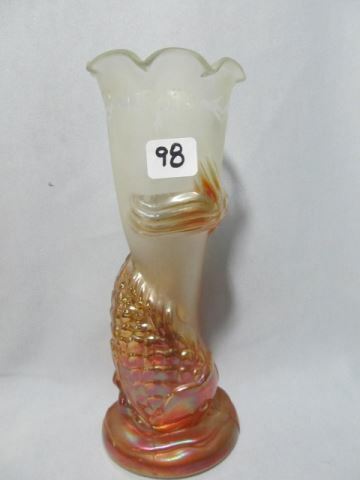 They were made by the Indian glassmaker Jain, and some are marked with that name on the bottom. 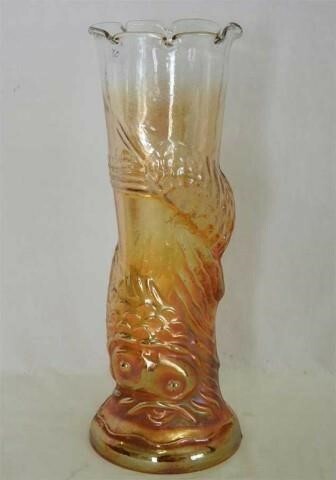 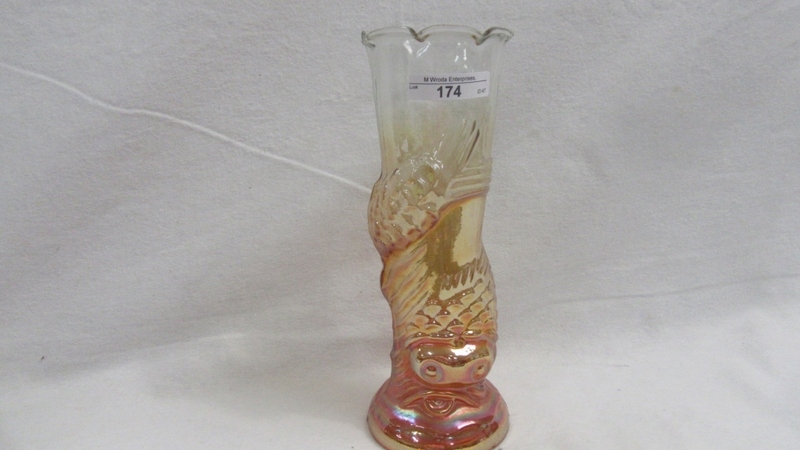 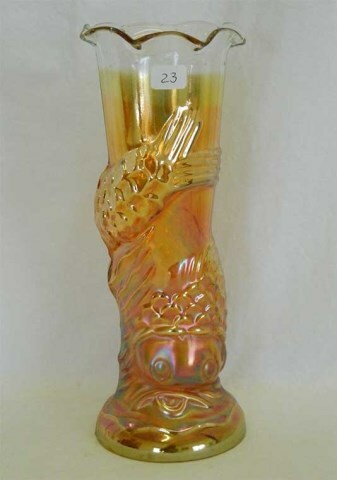 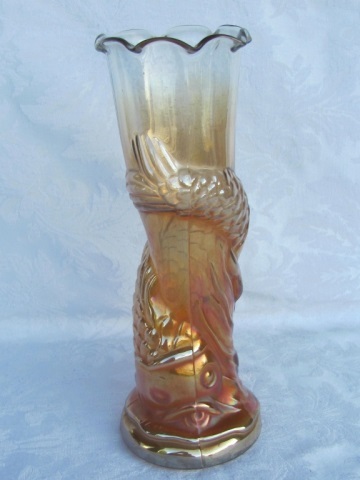 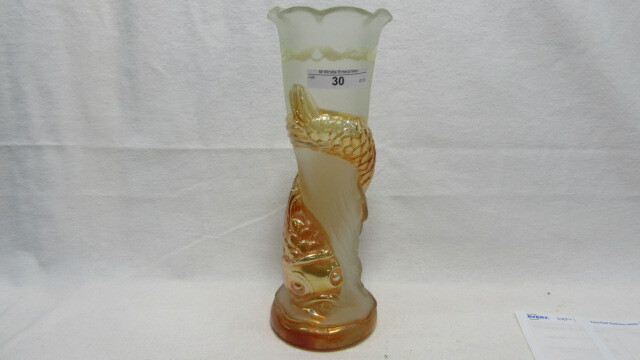 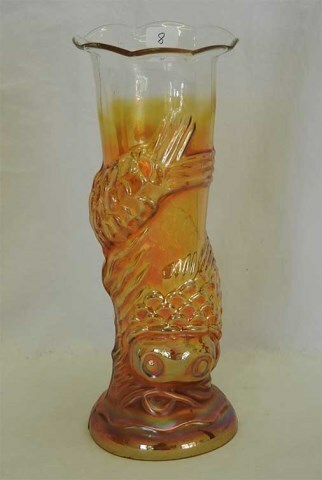 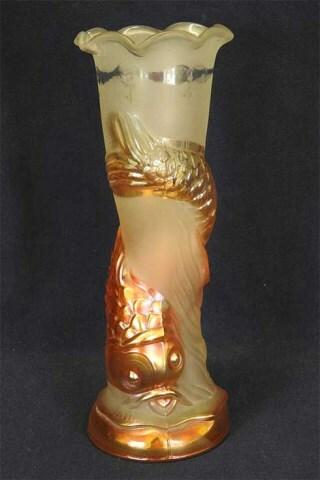 There are several variations of the Fish vase. 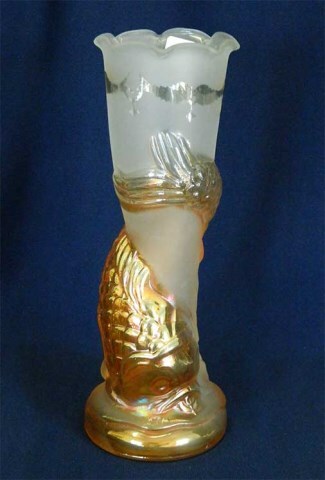 Note that the vase on the right has more of the frost effect which is deemed more desirable. 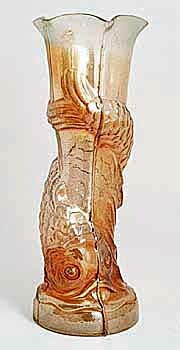 Most measure about 9 1/2 inches tall. 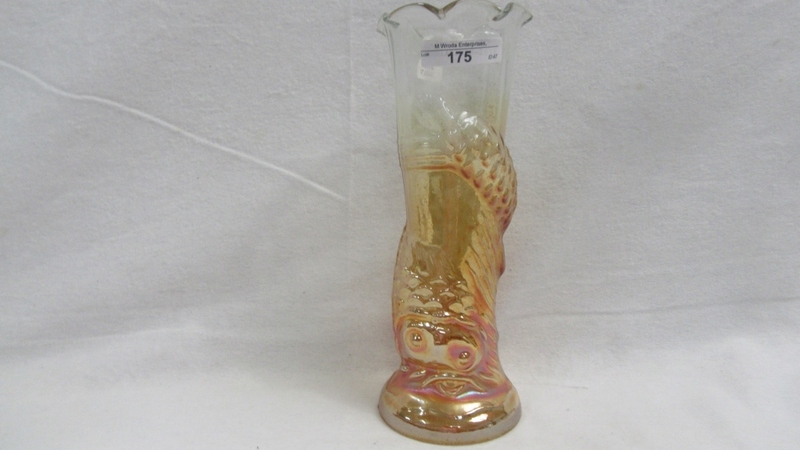 In the 1990s they had been selling for between $200 and $300, but a 2002 influx of these Indian pieces into the market lowered the prices considerably. 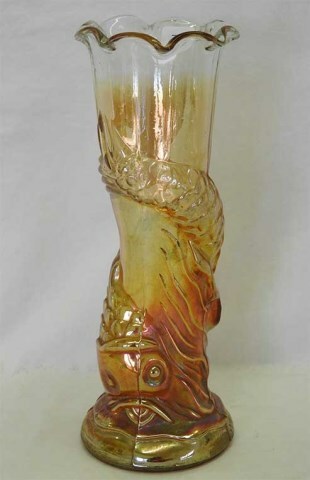 Other Jain vases are CB, Panji Peacock and Diamond Heart, and Tribal.